Jody Vandergriff is an entrepreneur and chief executive with over 15 years experience building passionate teams and award-winning products. She is the founder of WebDAM, the first cloud-based digital asset management platform for enterprise marketing teams. She launched WebDAM in 2010, bootstrapping the company to a market leadership position and doubling revenue year over year until acquisition by Shutterstock in 2014. Today, WebDAM manages the digital assets for some of the most recognizable brands including Coca-Cola, Google and Starbucks. 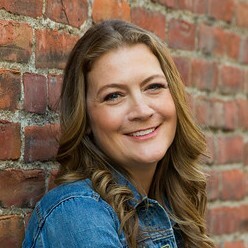 Jody has been named a Woman of Influence by Silicon Valley Business Journal, Woman of Excellence by the National Association for Female Executives (NAFE), one of the Top Women in Digital by Cynopsis Media and one of the 50 Women in Tech Dominating Silicon Valley by Tech.co. Jody speaks on topics of entrepreneurship, building a winning culture, negotiation, digital marketing, career transformation and women in business.